To compare noise levels under real-life conditions we shot this scene with the Canon PowerShot S90, PowerShot G11 and EOS 450D / XSi within a few moments of each other using each of their ISO settings. The lenses on each camera were adjusted to deliver as close a vertical field of view as their zoom increments allowed. Note the EOS 450D / XSi captures a wider 3:2 aspect, so by matching the vertical field, we’re effectively treating it as a 10.8 Megapixel camera, delivering 4:3 shaped images.Unfortunately Panasonic was unable to supply a Lumix LX3 for direct comparison against the PowerShot S90 and G11, but you can see how it performed against the G9 and Canon 450D / XSi in our Panasonic LX3 High ISO Noise results. We’ve also compared these earlier results with the S90’s at the bottom of this text. The image above was taken with the Canon PowerShot S90 in Program mode at 7mm f2.5 with a sensitivity of 80 ISO. The original JPEG measured 1.82MB and the metered exposure was 1/3 of a second. The crops are taken from the area marked with the red square and presented below at 100%. Each camera was using its default settings for noise reduction, but all contrast-enhancements were disabled to avoid artificially increasing the noise. Note the relatively coarse zoom increments on the S90 and G11 meant we were unable to exactly match their field of view in this composition, so the G11 crops below show a fractionally tighter area. While this gives the G11 a very minor advantage in terms of comparative resolved detail, we can still make judgments on noise and processing. The two PowerShots kick-off the sequence at 80 ISO with both cameras delivering detailed and almost completely clean images. Pixel-peepers may spot some noise textures in shadow areas, but the result remains detailed and sufficiently clean to please most photographers. By sharing the same sensor and image processing, the S90 and G11 unsurprisingly also share a very similar look to their images, but that doesn’t mean their quality is identical – each camera employs a different lens and these influence the final result. As explained above, the G11 may enjoy a minor resolution advantage in this composition thanks to fractionally tighter framing, but even taken into account, the G11’s crops are definitely slightly sharper than the S90’s. This was also noticed on our Outdoor Real-life resolution results, where we were better able to match the coverage on both cameras. So while the S90 enjoys an extra stop in brightness when zoomed-out, the G11 appears to have an edge in optical sharpness. Returning to the samples below, the EOS 450D / Rebel XSi joins-in at 100 ISO with the smooth and noise-free output that’s characteristic of most DSLRs. It looks soft compared to the two PowerShots, but again this is mostly down to the default processing strategies between compacts and DSLRs. Compacts tend to apply greater sharpening and contrast, which coupled with a sprinkling of noise even at their lowest sensitivities gives their images a punchier appearance than the default output from typical DSLRs. Boost the sharpening and contrast on the DSLR image and you’ll bring out plenty of detail, although crucially without the noise – at least at these lower sensitivities. Speaking of noise, there’s a slight increase visible in the shadow areas of both PowerShots at 100 ISO, although nothing to be too worried about just yet. At 200 ISO, these noise textures become more apparent on the two PowerShots, and again both models continue to share a similar style with the G11 still enjoying a minor edge in sharpness. The EOS 450D / XSi unsurprisingly remains smooth and clean at this point. With the sensitivity doubled again to 400 ISO, pixel-peepers may notice a slight drop in quality from the DSLR, but anyone will see the steady increase in noise on the two PowerShots, although to their credit there’s still a decent amount of detail present. 800 ISO is where the two PowerShots really begin to suffer with a noticeable increase in artefacts and a reduction in saturation – although again the G11 is still very slightly sharper. The EOS 450D / XSi is also beginning to suffer, although to a much lesser degree. Interestingly its artefacts like most of Canon’s DSLRs, tend to be chroma-based, but unlike the two compacts here at least the saturation is maintained across the image at higher sensitivities. At 1600 ISO, both PowerShots deliver quite fuzzy-looking images, which again suffer from an increasing hit on saturation. The EOS 450D / XSi gives-up at this point, and while the splotchy chroma artefacts are now quite apparent, the overall result is in some contrast to the two compacts alongside. Now it’s the 450D / XSi which looks punchy, as if the settings are turned-up too high, whereas the reality is the DSLR has remained pretty consistent in colour and style throughout its range while the compacts started punchier but steadily lost detail and saturation as their sensitivity increased. The S90 and G11 bravely go on to offer a 3200 ISO option at their full resolutions, but it’s really too compromised to be that useful unless you’re really stuck. The same goes for their Low Light modes which drop the resolution to 2.5 Megapixels and automatically select the sensitivity from a range between 320 and 12800 ISO. We’ve included an example from each camera here, with the S90 and G11 choosing sensitivities of 1600 and 3200 ISO respectively. You can see other examples of the Low Light mode in our Sample Images Gallery, and given less detailed subjects, such as portraits in a dimly lit room, it can be useful in an emergency or for a novelty – but suffice it to say the result ain’t pretty if you’re looking for fine resolved detail. So in conclusion the S90 delivers essentially the same noise levels as the G11 across its sensitivity range – an unsurprising result given their identical sensors and image processing. Both models deliver good results at their lowest sensitivities and can stand fairly close inspection up to 400 ISO. The quality quickly deteriorates at this point on though, with the images best-suited for reduction or casual viewing. 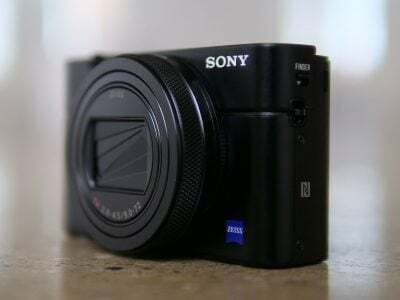 But as we’ve seen on both results pages, the PowerShot G11 enjoys a small but visible edge in sharpness thanks to its lens. Ultimately the S90 and G11 may sport better noise-handling than typical compacts with smaller 1/ 2.3in sensors, but don’t expect miracles. 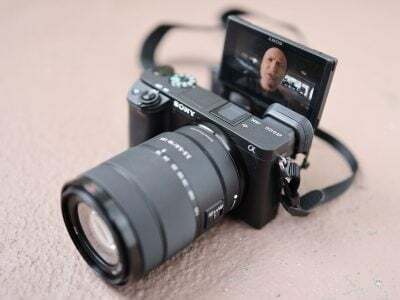 If you want really clean images at high sensitivities (or even at the lowest ones for pixel-peepers), then you’ll need a much bigger sensor such as those employed by DSLRs, or a Micro Four Thirds model like the Olympus E-P1 or Panasonic GF1. 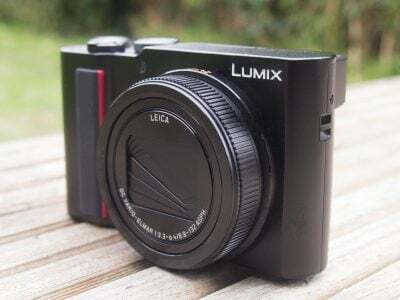 Unfortunately Panasonic was unable to supply a Lumix LX3 for side-by-side testing with the S90 in this article, but when comparing our earlier results from this model, both cameras delivered similar noise levels up to 400 ISO. At 800 ISO and above, each camera adopted quite different approaches with the S90 losing detail and saturation due to noise reduction, and the LX3 going for a more hands-off strategy with greater visible textures. In our real-life resolution tests, the LX3 was consistently sharp across the frame, but the S90’s in-camera JPEGs looked crisper. Which you prefer in both tests becomes a personal choice, with neither taking a decisive lead in image quality. Now let’s see more sample images throughout the S90’s sensitivity range, including examples of its Low Light mode in our Canon PowerShot S90 Gallery.